Mom’s health began to deteriorate in June. I stopped by her house in the morning before work and sometimes after work to help water her yard and flowers, do her dishes or take out her trash. My four brothers and two sisters also checked in on her, almost daily. Mom turned 80 in January and that summer was the first time we ever saw our mom slow down. Even though Dad had died in 1999 and mom was diagnosed with breast cancer two years later, she remained very active, and seemingly healthy. 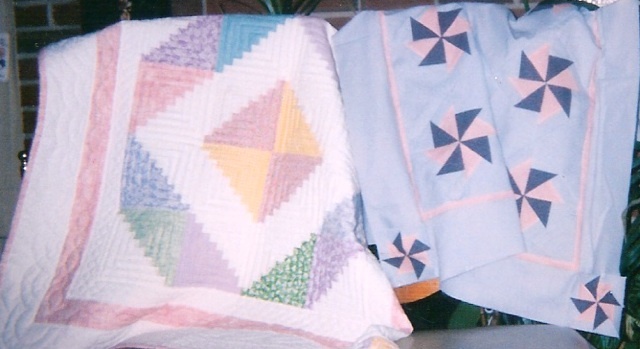 Mom – a retired nurse – also belonged to a quilt club and usually spent the day gardening, quilting, reading or in the kitchen trying a new recipe or canning produce. At night she loved to watch Jeopardy — she knew most of the answers — do crosswords and watch a good movie or television show. Well, actually, it didn’t even have to be good – off-beat, foreign, independent, popular, quirky — she was a movie connoisseur. A quiet, but strong woman with a quick wit, my mom’s name fit her perfectly – Grace. My youngest sister gave mom a hanging plant for Mother’s Day – a mix of cascading deep purple and orange-edged-with-scarlett fluted flowers. Mom hung it on a plant stand in her front yard. It was gorgeous. Mom, who had become a Master Gardener and a licensed practical nurse late in her life, told me the correct botanical names of the flowers, but I could never remember them. Mom tended to all of her flowers up through the end of June; the last entry in her gardening journal was June 20. After that her kids took over. We were not quite as gifted. The gardens began to look neglected and weeds sprung in the previously immaculate flower beds. I think that’s when I first noticed that the hanging plant was not looking too healthy. Much of Indiana and the Midwest had been hit by an extreme drought and it seemed that no matter how many times a day I watered that plant, it continued to turn brown and shed its petals. “What am I doing wrong?” I asked mom. Mom tried to make me feel better, pointing out that it was probably the drought that was killing the plant. Also, it was a variety of plant that was difficult to care for and would probably die before the summer was over. It’s just one of those plants that was very pretty while it lasted, but it did not last long, she said. I didn’t buy it. 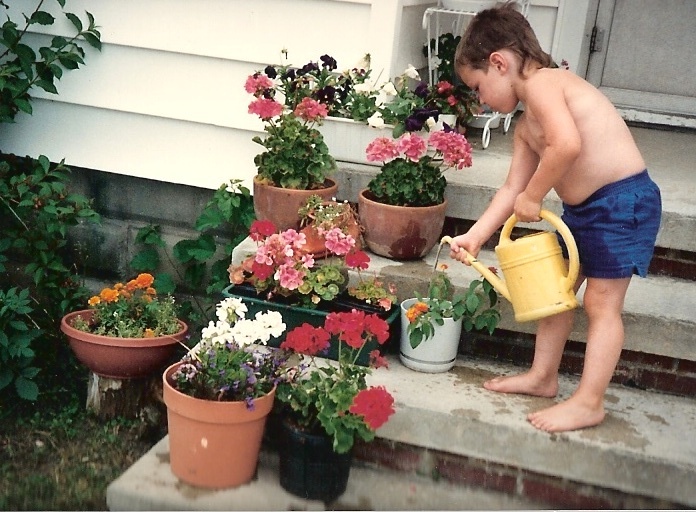 It had always looked beautiful under mom’s green thumb. It had to be me. Through June and much of July, I fretted over that plant. I did not want it to die on my watch. Daily, on my trips to mom’s house, I couldn’t help but notice that despite my almost desperate attempts to keep that plant alive, it was slowly dying. 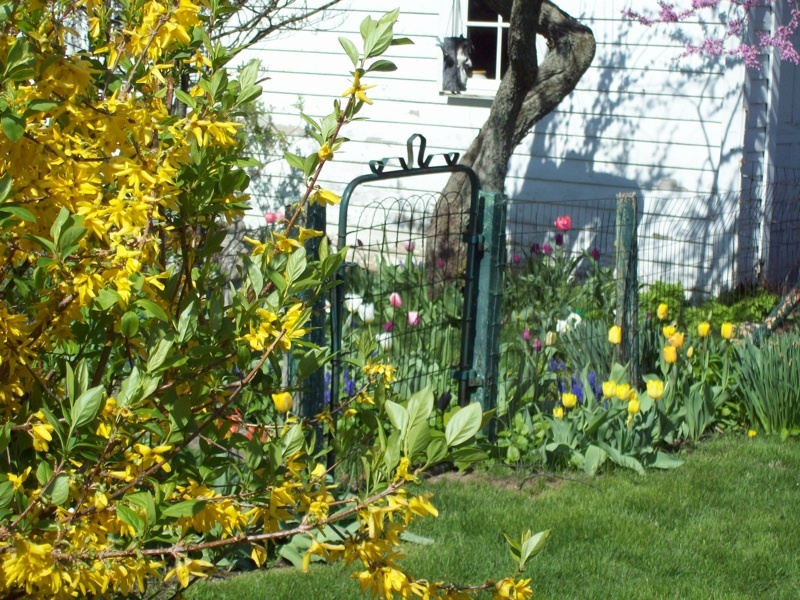 For as long as mom could, she liked to go out in the mornings and drink her coffee amid her beloved flowers and birds. Sometimes when I pulled up to her house in the evenings, I would see her sitting in a chair in the back yard, near her bird feeder and bird bath, watering flowers with the garden hose. That’s when we realized our mom was dying. She had been trying to tell us for months, but none of us could imagine life without her. I grew even more desperate to keep the plant alive. I added fertilizer and pulled out all of the withered branches. It sprang back, and the purple flowers multiplied and bloomed in the midst of the drought. Mom even remarked how pretty it was looking. Mom seemed to be doing okay, sitting in her recliner, talking with her younger sister Evelyn, and smiling and talking with her grandchildren as they visited. Two days later, I told her that two hummingbirds were on her front porch, enjoying the various potted flowers that sat on her steps, and two turtle doves were in the front yard, seemingly fearless of all the humans coming and going. Mom told me she had quit filling her bird feeders the week before. “They’re on their own now,” she said, matter-of-factly. We set mom up with at-home hospice and a hospital bed in the same bedroom that dad had died in 13 years earlier. My siblings and I wrote up a daily schedule to make sure someone was there 24-7 to help if she needed it. Turns out, we only needed that schedule for a brief time. In death, like in life, my mom called the shots. And when she made up her mind to do something, she did it quietly, stoically and without fanfare. PJ waters Grandma Grace’s flowers. She died Aug. 3 at home just after midnight. My sister and brothers and I were there when she took her last breath. We were sure she would not die on our watch. Three days later, after the funeral, I noticed that the plant was almost completely dead. Most of the flowers had withered and dropped to the ground below. Oddly, the grass below the hanging pot was the only spot in the yard that was bright green and lush — from the twice-daily watering. As I walked into the house, the hummingbirds that were drinking nectar from the potted plants on the front porch barely moved out of my way. I looked up. Two turtle doves studied me intently from the utility wire overhead. They seemed to be assuring us that our mom was in another garden in another world, tending to acres of beautiful flowers that would never die. Oh, Viv. That was outstanding. Perfect, simply perfect. Grandma is going to be talking to us forever by ways of plants. Mom & I have seen it occur and we didn’t know it had happened to the other until we shared it with each other. Grandma brought me a geranium when we had May birthdays. Although I watered it and used miracle grow, the plant turned completely brown. It hadn’t bloomed since late june/early july although it received nightly baths. Then something weird happened… The morning that grandma had died, I came home early from work and noticed there were 3 blooms on the plant! The leaves were still kind of brown, but there were 3 pink flowers sticking out of the pot! Mom told me that on that morning, she was outside drinking coffee. 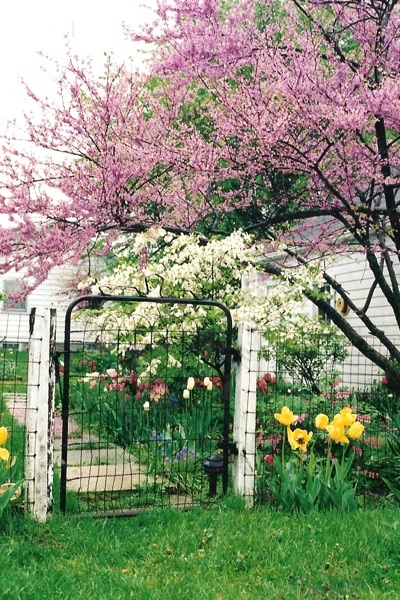 Grandma had given her many of the plants in her own garden, including a clematis. The clematis has stopped blooming back in June, but that morning, there were a couple purple blooms on the plant. Mom said “your grandma will be talking to me through that garden for years to come!” and she will be. Oh, Viv, that “scribble” was beautiful. I’m sitting here with tears in my eyes. It wasn’t just a “scribble”, but a moving memoir of your Mom. She was so aptly named”Grace”. I’m sure she is smiling down upon all of her children, so proud of how they have grown to become such caring, loving and successful kids.